Hard drives are essential to the proper running of a computer system. Without them, you won’t be able to even boot up your PC. Therefore, it is important to take good care of your hard disk. However, there are instances when the hard drive simply fails to function and crashes without any warning. In such situations, you will have to face the possibility of losing all the data that you had stored on the hard drive. If you don’t have any backup copies of your data on the crashed hard drive then you won’t be able to recover your data easily. You can attempt crashed hard drive data recovery by using a data recovery tool. There are many reasons why your hard drive might suddenly crash. The following is a look at some of the situations which can cause your hard drive to stop working. Virus Attack If you don’t have an antivirus installed on your system then it becomes vulnerable to virus attacks. A virus is a malicious program which can infect the hard drive and corrupt its file system. This disk corruption, if not contained, can result in the crashing of the hard drive. Faulty Power Supply The power supply provides the power needed by the hard drive to function properly. If your hard drive’s power supply is faulty and can’t deliver the required power then it can cause the hard drive to crash as well. Issues with the Operating System The operating system of your PC is responsible for recognizing the hard drive. If your operating system has issues then it might corrupt the hard drive’s file system too and cause it to crash. Operating system issues usually stem from your inability to update it regularly. Bad Sectors on the Hard Drive Hard drives have a limited life period. They accumulate bad sectors over time. If you don’t remedy the bad sectors and let them remain on the hard drive then they can end up crashing the hard drive as well. Hard drive crashes are always abrupt. One minute you are working on something and in the next the screen will go blank. It is easy to panic in such situations as you might think that all of your data is lost forever. Do keep in mind that even crashed hard drives can be recovered. You can make use of crashed hard drive recovery software for getting back your sensitive files and data. While there is no shortage of data recovery software available on the internet, there aren’t many which can recover data from a crashed hard drive. Wondershare Data Recovery is among a handful of software that can be used for hard disk crash recovery. The following is a guide which offers simple steps on how to perform crashed hard drive data recovery using Wondershare Data Recovery. 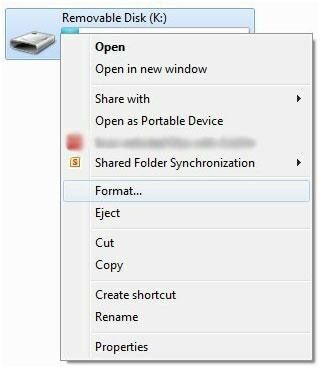 Select the file type you want to recover from crashed hard drive, click "Next" button to start. Select the crashed hard drive to start searching the data, click "Start" button to process. It will start a quick scan to search data, or you can go to deep scan which will deeply search more files from crashed hard drive. After the deep scan, you can preview the recovered data from crashed hard drive and click "Recover" button to save. If your hard disk crashes while you are working on a project then you might end up losing the data forever. The hard disk crash can result from a number of different reasons. If you don’t want the crash of the hard disk to cost you that much then you should attempt a crashed hard drive data recovery. 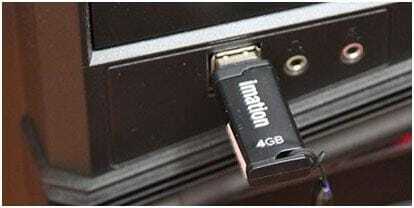 It would require you to make use of a data recovery tool. While there are many such tools available in the market at the moment, the best one among them by a fair distance is Wondershare Data Recovery. This crashed hard drive recovery software can recover your precious data within minutes.